Last night I almost assembled one of the trestle table sides. I marked the tapers on the foot and the support and then removed most of the waste using my rip saw. 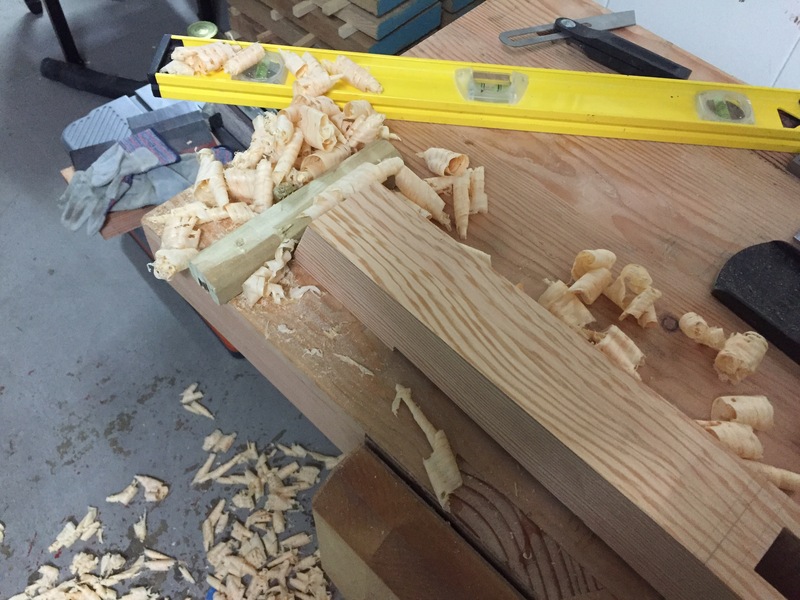 The rest was removed using a scrub plane followed by my #6 fore plane. 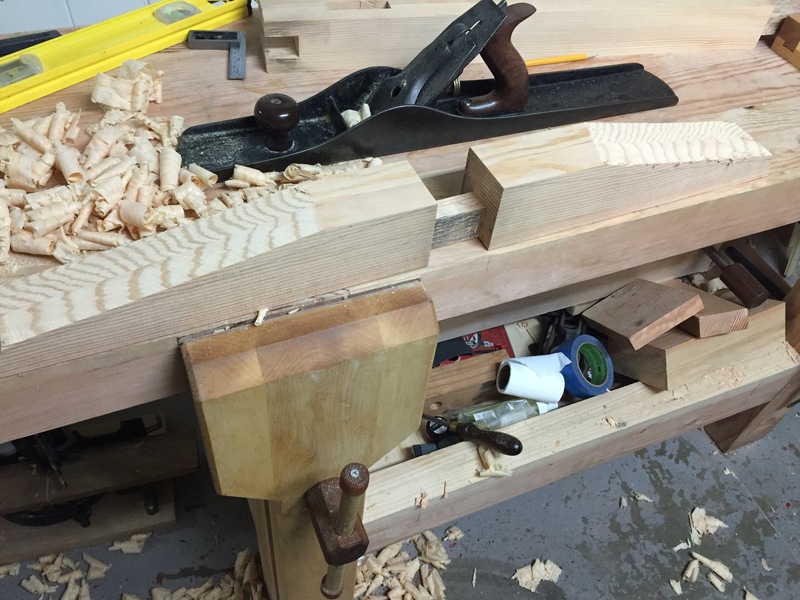 Once I was near the line I swapped to my #8 jointer and then finished up with my smoother. 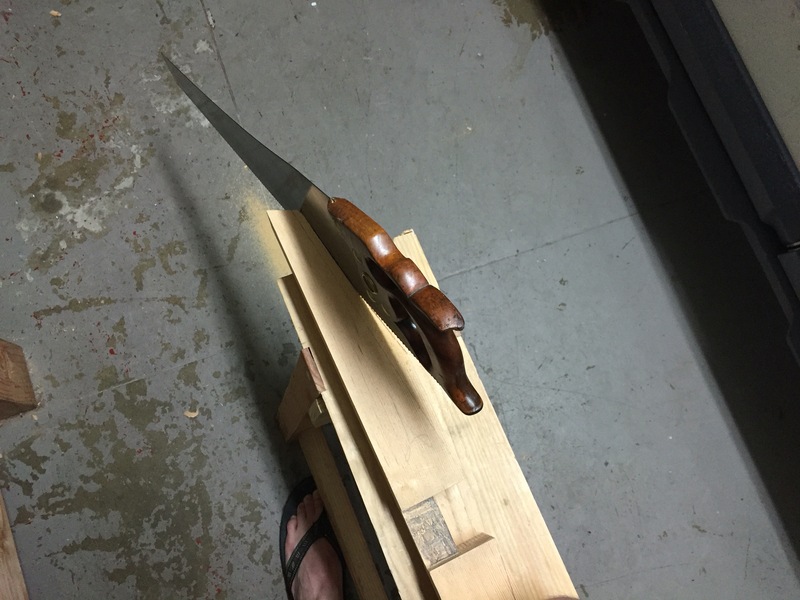 I then adjusted the fit between the leg and the foot with my shoulder plane to square things up. I then found the center of the bottom mortice and added a 3/8 hole (I drilled from both sides to ensure a clean opening) and then added an offset hole to the tennon. Draw boring them together will keep it tight. 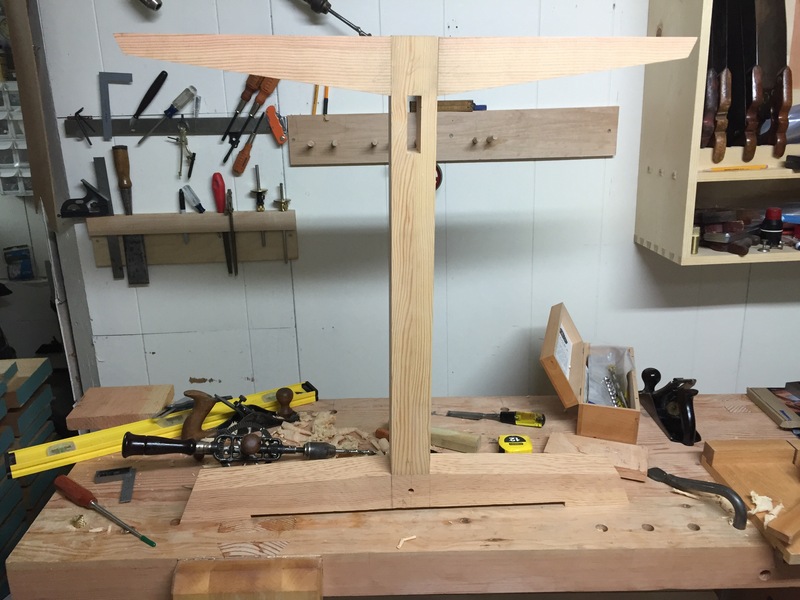 I still need to drills hole through the lap joint (I should have done that before I added the taper) and the trestle mortice. I think I removed too much material from one side of the bottom of the support’s lap joint. The support wants to twist when I seat it in the joint so I may need to glue in a thin slice of wood and adjust the joint.